Hôtel Dupond-Smith is located in the Marais area in central Paris. It offers individually decorated rooms with design features. 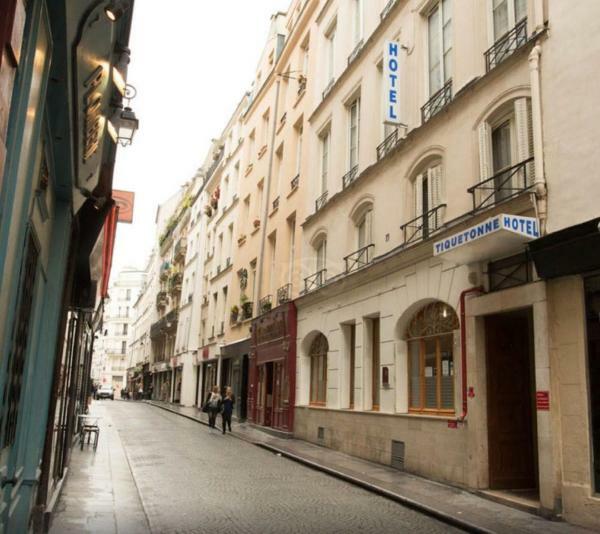 Free Wi-Fi access is available throughout and the Louvre Museum is a 15-minute walk away. Hotel Phenix is set in the 17th arr. District in Paris, 270 metres from Arc de Triomphe and 1 km from Palais des Congrès de Paris. Hotel Phenix provides free Wi-Fi throughout the property. 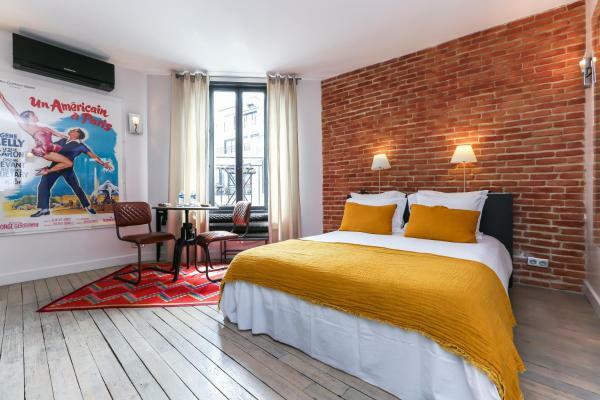 Featuring free Wi-Fi throughout the property, Tiquetonne is set in Paris, 650 metres from Pompidou Centre. You will find luggage storage space at the property. Louvre Museum and Place de la République are both 1.1 km away. 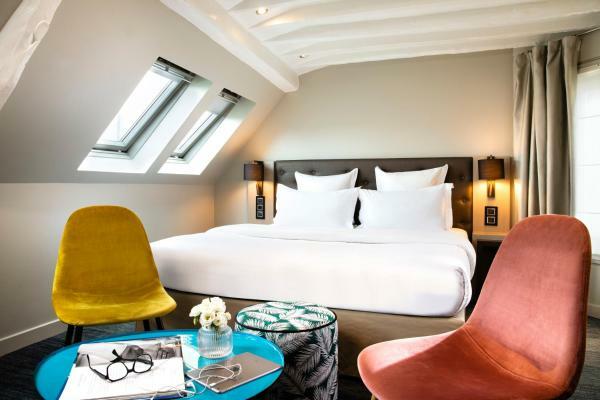 Located in Paris, Hôtel L'Ami Justin is 10 metres from the Père-Lachaise Cemetery and a 20-minute walk from Place de la Bastille. 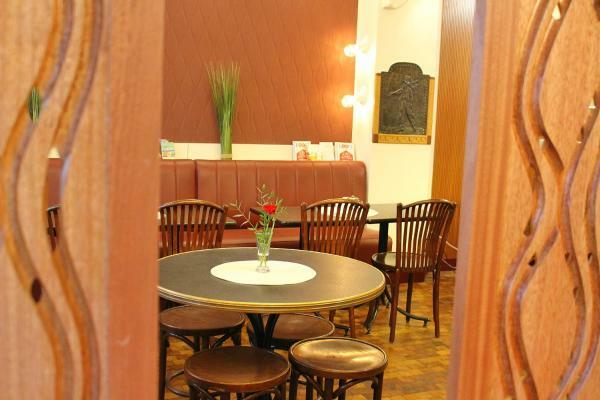 It offers free Wi-Fi access, an à la carte restaurant and a bar. Each room has a desk and a flat-screen TV. Ideally situated in the 20th arr. District of Paris, Ménil Bon Temps is situated 1.5 km from Place de la République, 2 km from Opéra Bastille and 2.4 km from Pompidou Centre. 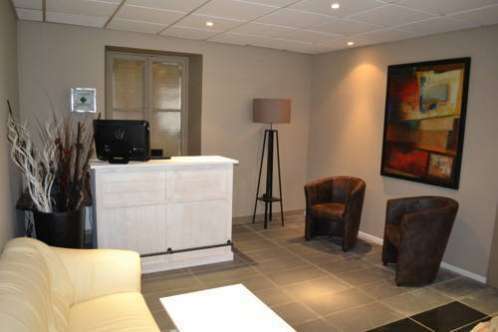 Hotel Lyon Bastille is situated in the centre of Paris, 150 metres from Gare de Lyon. 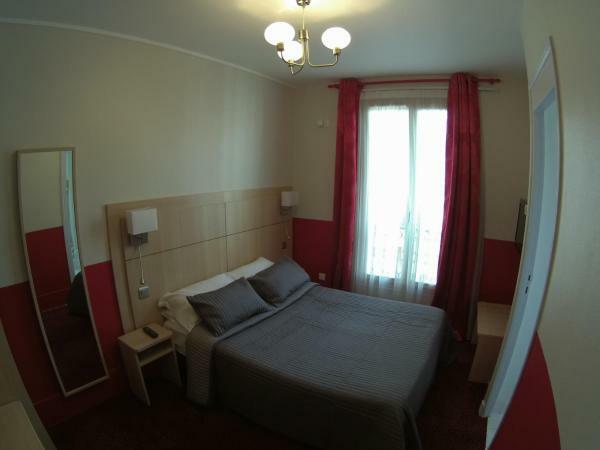 This location puts guests within walking distance to Place des Vosges and Le Marais. Choose from single, double, triple or twin guestrooms. 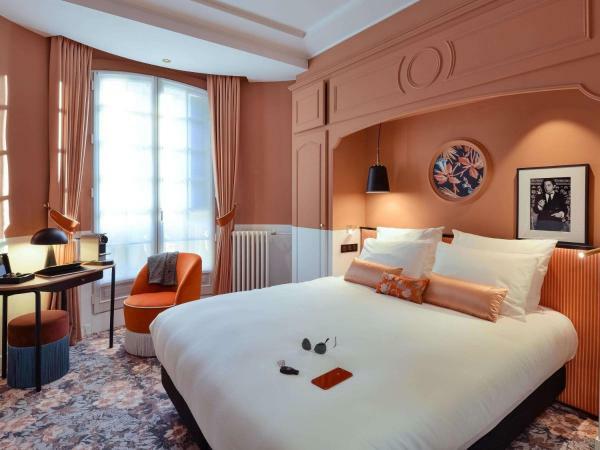 Hotel Saint Georges is located in the 9th district of Paris, 650 metres from the Moulin Rouge and a 10-minute walk to Montmartre. It provides a 24-hour front desk. 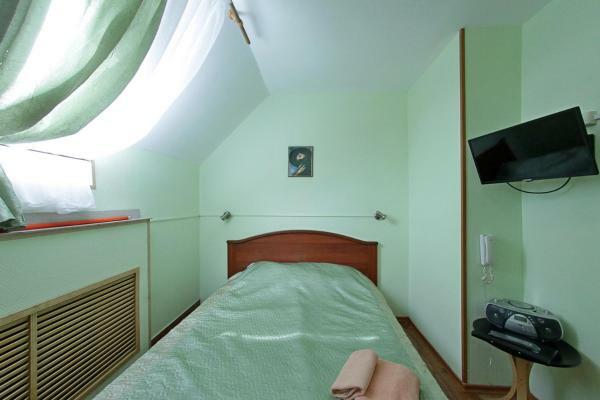 Each of the guest rooms includes a private bathroom, a TV and Wi-Fi internet access. 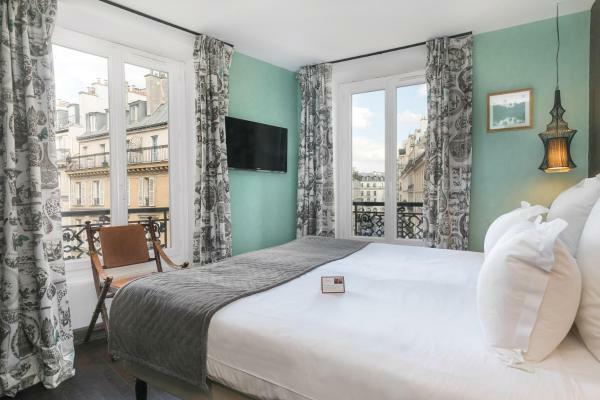 Ideally situated in the historical Latin Quarter in central Paris, the Marignan is just 600 metres from Luxembourg Gardens. 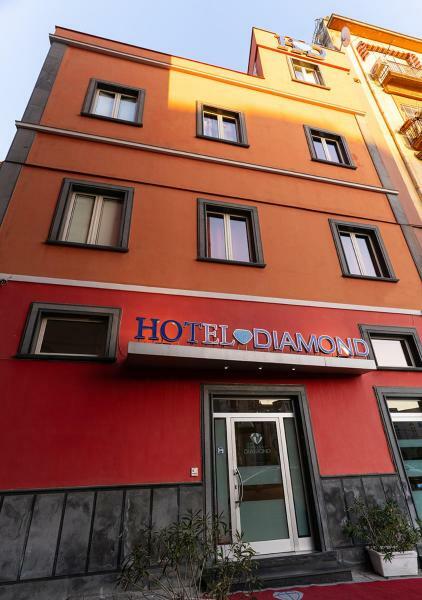 It offers budget accommodation with free high-speed fiber optic connection. 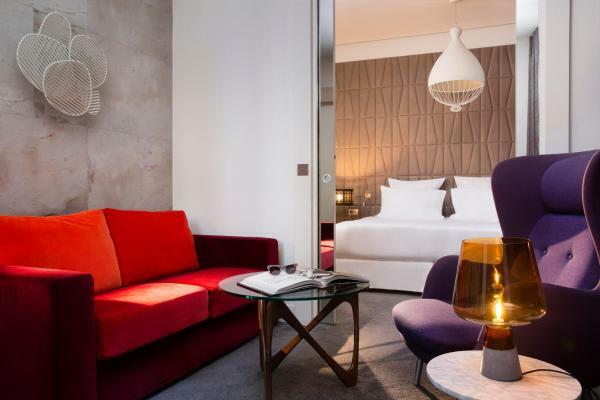 Set a 10-minute walk from the luxury Galeries Lafayette department store, this 4-star hotel offers an on-site bar and free Wi-Fi access. Cadet Metro Station is 200 metres from Maxim Opéra and provides access to the Louvre. 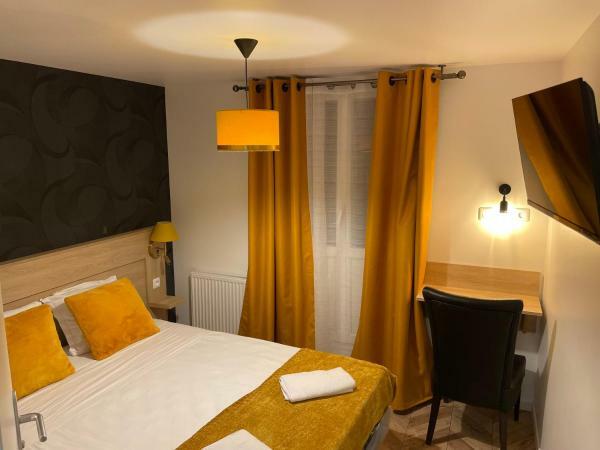 Provided with free Wi-Fi and a 24-hour reception, this hotel is located 230 metres from Blanche Metro Station (line 2), close to the Montmartre district. The Moulin Rouge is a 5-minute walk away and the Sacré-Coeur Basilica is 1 km away. 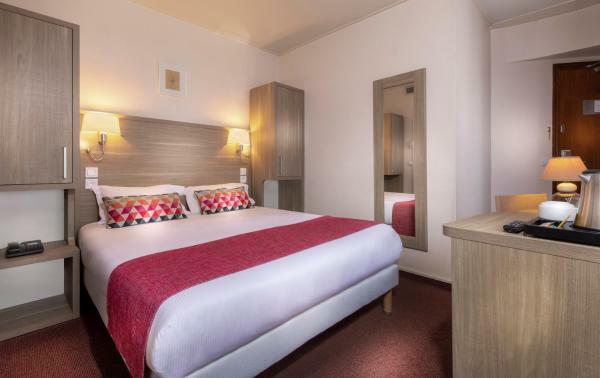 Located at 5 km from Parc des Expositions Porte de Versailles, ibis Paris Porte d’Italie offers a French restaurant, a bar and air-conditioned, en suite rooms. Parc des Princes Stadium is 8. 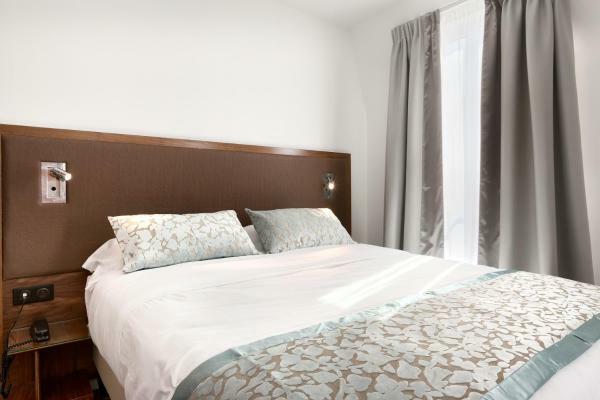 Located in the centre of Paris, just 1 km from the Opéra Garnier, Chambres d’hôtes Opéra – Grands Boulevards offers contemporary guest accommodation. Galeries Lafayette Department Store is a 12-minute walk away. Le Trente is located in the 17th district of Paris and is a 25-minute journey to The Basilica of the Sacred Heart with Place de Clichy Metro Station. In the hotel, guests can enjoy the benefits of a terrace. 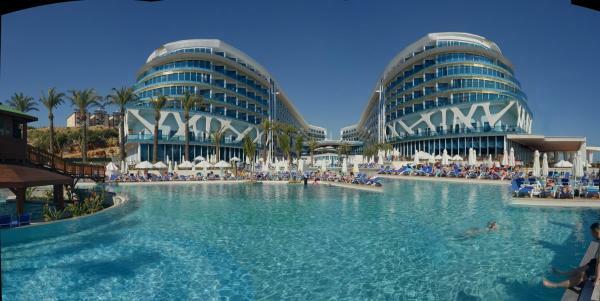 Free Wi-Fi is available in this property.